It would be wonderful if Lizi could go to Ren Ziling's home for breakfast... but it was improper to visit Ren Ziling without any invitations so early in the morning. So Lizi went back home to change and bought some breakfast by the riverside before going to work. "More sesame soy next time?" Lizi opened the food box while entering the elevator of the newspaper building. Ding---the elevator alerted and opened when Lizi was going to put one piece of rice flour rolls into her mouth. However, a slipper was flying toward her at that moment... which startled her enough to dodge it to the other side. The newspaper office was in a great mess. "Ren...Sister Ren? What happened here?" Lizi asked Ren Ziling. At this time, our Subeditor Ren was standing at a table with a rolling magazine in hand pointing at the floor. "Over there. Kill it!! Siniang, It's your turn!!! Under the table!!! Yes!!! Kill it by the slipper...Hi, Lizi, you're back?" "Hey." Lizi smiled. "Sorry for unpredictable sick leave. " "It's okay... just leave it. Come on, join us!" Ren Ziling jumped from the table and gave Lizi a pesticide. "It is strange that there are so many roaches and mice running on the floor!" "What?" Lizi was stunned and noticed that there were many dead insects around her. "Is it a pest-killing day today? " Ren Ziling shook her head, "I don't know. The roaches are everywhere... did you see today's news? A lot of rats came from the sewer. Hopefully, it isn't pestilence." "Pestilence?" Lizi was astonished, "How could it be? It isn't the Republican period..."
"Oh... Leave it alone." Ren Ziling looked at her watch, "Go for an interview with me. " "Fine..." Lizi said with a shrug, "What's is it about?" "Feiyun Entertainment." Ren Ziling answered, "It was called Heaven's Shadow Entertainment before. But it was reformed. The new boss is mysterious with a strong background." Cheng Yun rubbed hands as he finished tidying up the collar and hair... He felt that he was perfect enough. At this moment, his cell phone rang... his boss, Mr. Zhong, called him. "h.e.l.lo, Second Young Master." Cheng Yun held the phone to her ear and paid full respect. "Rest a.s.sured. I have done all the preparations." Cheng Yun said seriously, "This is the first wave of our new company, I won't mess it up." The Second Young Master wouldn't show up---And Cheng Yun would deal with all the media as the director of Feiyun Entertainment at the news conference one hour later. "OK, you can behave freely as long as you don't make any mistakes." Zhong Luochen said on the other side of the phone, "Feiyun Entertainment is a starting point of our new corporation. Zhang's family paid close attention to this and we have prepared for several months. It must be on the safe side." "I understood, Second Young Master." Cheng Yun nodded and continued to ask, "One more point, will Miss. Zhang come here today?" "I heard several warehouses suffered from a plague of rats. Mrs. Zhang was frightened and had a fall..." Zhong Luochen said strangely, "They are busy coping with the emergency and probably won't come here today. Oddly enough, the place I lived in today was also... very dirty." "Second Young Master, I just smacked two roaches just now too." Cheng Yun said critically, "I really don't know what the munic.i.p.al government is doing." "Well, no more complaints. Come on. I will watch the direct broadcast on TV. " "No problem." Cheng Yun smiled and hung up the phone while watching himself in the mirror... Was this big progress? Clap! He killed another roach. The cave was shaking and some dust was falling. Kuck stood up with his eyes opening. He watched the curse incantations around him, which should have been bright... They seemed to have suddenly lost their strength. Xiang Liu squinted, "The first Seal Point has been fully attacked...Let's go to find the second one. It is a good start, right?" "Bring that stick with us." Kuck glanced at one hole in the center of the cave, "I feel like we will meet some unpredictable issues at the second seal." Xiang Liu arched an eyebrow. "Is that your sixth sense?" "No." Kuck looked at the long stick covered by a cloth in his hands, "It told me about that." The second seal was beneath the riverbed... and it was shaking just like the first one. Su Zijun opened her eyes and saw the dust falling down onto her shoulder, "Xiang Liu acts fast..." She sneered and stood up. Her wound was cured by the quarter cupful of Cain's blood. She would recover to the best condition in two or three hours. Su Zijun was looking at the huge white coc.o.o.n face to face. Luo Dance was in the coc.o.o.n now. Su Zijun could perceive the original monster power emitting from it. Luo Dance was a rare b.u.t.terfly in the world. According to the natural law, the rarer the animal was, more powerful it would be. In addition, Su Zijun had helped to sort out the disordered monster power from her before, so she believed that Luo Dance could adapt to it as time pa.s.sed. Su Zijun touched the big coc.o.o.n lightly and said in a low voice, "You have broken the coc.o.o.n once previously. The real emergence will occur when you break the coc.o.o.n the second time... Fight hard, young one." After those words, Su Zijun blew out a breath, causing the big coc.o.o.n to sink slowly... until the dirt swallowed it gradually and finally became fully buried. Su Zijun did not intend to get Luo Dance mixed up in the battle with Xiang Liu... never had she had that thought. "Xiang Liu, I am not Long Xiruo... come on, I will wait for you!" In the cave, b.l.o.o.d.y shadows emerged. Luo Qiu was attracted by the third seal... He sank deep into the leyline, allowing himself to be carried around by the strong and powerful aura. Luo Qiu did not practice Taoism so the aura useless to him. His power was different from any other supernatural powers in the world, so he needn't need to absorb the aura. His power was strong enough to change the leyline already. However, his powers could not provide him with the memories of the land. He heard a voice...or to be more accurate, he heard a conscious segment. It was not a language but a feeling on a mental level---It came from the new and pure soul. "Luo Qiu..." The new conscious soul seemed to carry some suspicion and another bit of information flowed, "How strange that I have an impression of you... but I can't find it. There is something new here..."
"I don't know... It is very disarming." The conscious soul was still amazed, "But it is strange... at the place where you are"
The place which Luo Qiu was? It could only be the club. You're Read Trafford's Trading Club Chapter 426: Anomaly online. If you find any errors or translatation mistakes, please let us know so we can fix that as soon as possible. You're reading Trafford's Trading Club by Author(s): White Jade Of Sunset Mountain, 夕山白石. 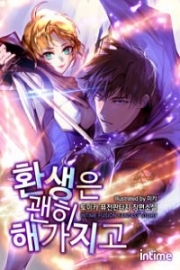 This novel has been translated and updated at LightNovelsOnl.com and has already 266 views. And it would be great if you choose to read and follow your favorite novel on our website. We promise you that we'll bring you the latest novels, a novel list updates everyday and free. LightNovelsOnl.com is a very smart website for reading novels online, friendly on mobile. If you have any questions, please do not hesitate to contact us at [email protected] or just simply leave your comment so we'll know how to make you happy. Current Time is 19-Apr-2019 16:38:32 PM.